That’s right everyone, Elvis is walking amongst us once again, and I think it’s safe to say sequins and jumpsuits are about to re-appear in the near future. Come, relive and celebrate the great hits of The King Of Rock ‘n’ Roll, Elvis Presley, in a two hour intimate concert experience starring internationally renowned Mark Anthony, who recreates the essence of Elvis and all his musical hits that inspired and rocked the world. 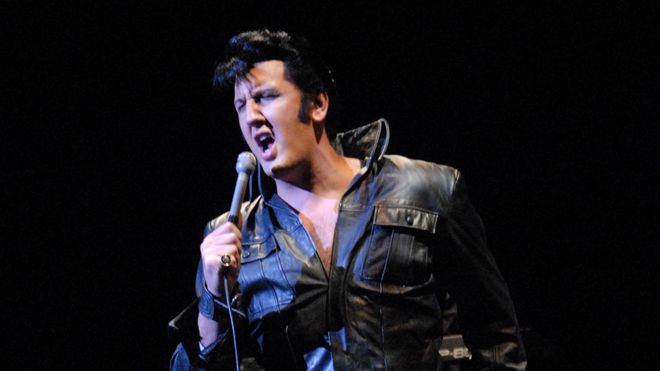 All of Elvis’ hits will be performed in the original style that made Elvis legendary. With over 600 million record sales worldwide and 3 Grammy Awards, Elvis Presley will always be known as The King Of Rock ‘n’ Roll. 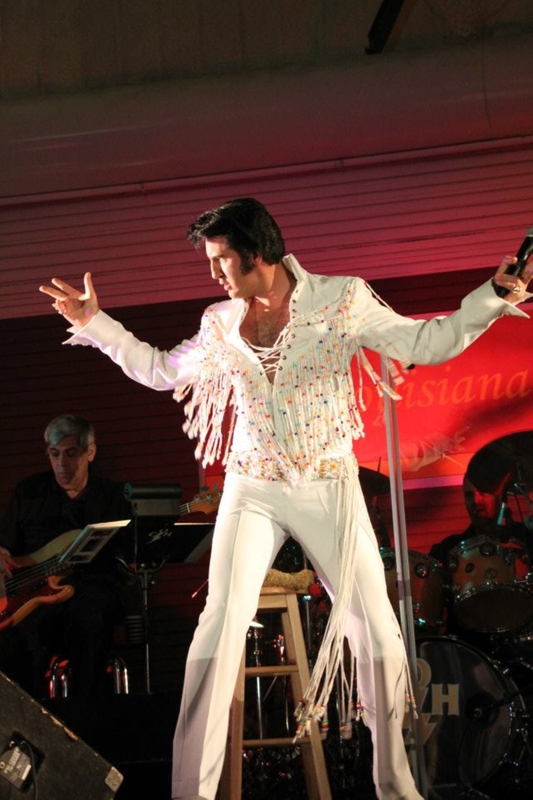 Come and experience what it would have been like to see Elvis live in concert. There’s a reason they call him ‘The King of Rock and Roll’. His performances were legendary, his music iconic and memorable, and his onstage presence striking, like no other of his time. He changed the face of music forever. For those who for some reason have never heard of ‘The King’, Elvis is one of the most celebrated and influential musicians of the 20th century – commercially successful in many musical genres, including pop, blues and gospel. He is the best-selling solo artist in the history of recorded music, with estimated record sales of around 600 million units worldwide. He was nominated for 14 competitive Grammys and won three, also receiving the Grammy Lifetime Achievement Award at age 36, and has been inducted into multiple music halls of fame. Forbes named Elvis Presley as the 2nd top earning dead celebrity with $55 million as of 2011’. Even in death he makes more money than most modern artists, is more famous and more celebrated and his contributions to music continue to influence to this day. Obviously, even ‘The King’ can’t live forever, but with the help of some amazingly talented fans we can all get at least a little taste of what it would have been like to experience Elvis in his prime again, or for the very first time. Internationally celebrated singer Mark Anthony will transport you to that time when Elvis Presley made the music that dominated the record charts in the 50’s, 60’s & 70’s with his unique raw energy, dynamic voice and sensational stage presence. 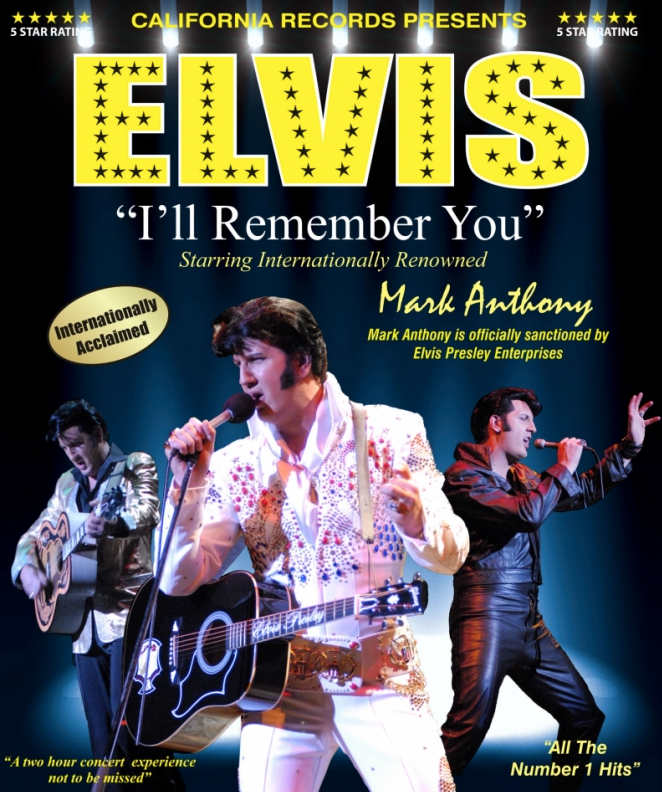 Mark Anthony has been officially rated in the top five Elvis Presley tribute artists in the world and is officially sanctioned by Elvis Presley Enterprises USA. He is one of the most dynamic Elvis tribute artists in the world today as he continues to perform worldwide in major venues, keeping the music, magic and legacy of The King of Rock ‘n’ Roll alive today for Elvis’ millions of fans. The Caloundra Events Centre is playing host to the show; Elvis in Concert and will feature all of ‘The King’s’ greatest hits, including; Heartbreak Hotel, Don’t Be Cruel, Hound Dog, All Shook Up, Teddy Bear, Jailhouse Rock, Stuck On You, It’s Now Or Never, Wooden Heart, Surrender, Return To Sender and many, many more. For more information on the night and to book tickets visit the Events Centre. Tickets range from $59.90 to $69.90 with an option to partake in the Stage Door Bar and Cafe pre-show dining for just $14.00 to $28.00 extra.